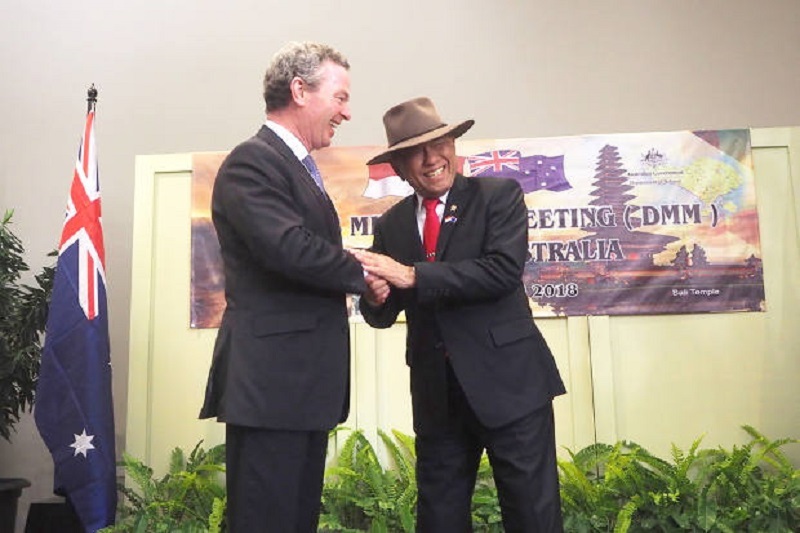 The Indonesian Defence Minister shared that Australia will be sending experts to train Indonesian law enforcement personnel in cybersecurity, as reported by BenarNews. In a discussion with his Australian counterpart, both Defence Ministers talked about counter-terrorism and the possible role Canberra might have in the Southeast Asian intelligence-sharing group called, “Our Eyes”. This discussion occurred in the sidelines during the annual meeting of the International Monetary Fund (IMF) in Bali, Indonesia. Since Australia has better technology, they will be sending experts from Australia to train Indonesian cybersecurity personnel. Australia has already been engaged in analysis of shared information with Indonesia but this meeting focused on cybersecurity and about disrupting the financial affairs of terrorists operating in the region. Six members of the Association of Southeast Asian Nations (ASEAN) launched the “Our Eyes” initiative in January. This initiative from Indonesia, Brunei, Malaysia, Singapore, Thailand and the Philippines could lead to a more accurate and quicker response to cross-border security threats. The concept for “Our Eyes” comes from the “Five Eyes” intel-sharing alliance involving Australia, Canada, New Zealand, UK and the United States. The initiative was proposed by Indonesia in October 2017 at the ASEAN Defence Ministers meeting in the Philippines. Along with the IMF meeting, Bali also hosted ASEAN leaders who renewed their commitment to achieving sustainable development goals for their countries. They discussed the importance of the special report released by the Intergovernmental Panel on Climate Change, which details the devastating consequences if the world fails to keep global warming to 1.5 degrees Celsius. The potential disaster is deemed to be running faster than the countries and the countries are running out of time. During the meeting, a call was made for ambitious and urgent action to cut down carbon emissions in half by 2030 and reach net-zero emissions by 2050. This should be done especially in key sectors that include land, energy, industry, buildings, transport and cities. The Indonesian President includes sustainable development as an integral part of his policies. The country is currently facing the daunting task of rebuilding communities after it was hit by a massive earthquake and tsunami, which devastated the Sulawesi Island. The sustainable development policies have allowed Indonesia to protect coastal areas, develop infrastructure, reduce inequality and improve education participation. The advent of technology has greatly helped in narrowing the gap in access to education. Hopefully, the country will be able to achieve its development goals by 2030.